Derann have cancelled the Birmingham convention scheduled to be held in April. Please be advised that this in no way affects the two BFCC events scheduled for 2006. Additionally we have submitted dates to Ealing Town hall for 2007. Keep checking the 'Next Event' page of this web site for exciting updates on the coming attractions. Don't panic! This is not a promotion for everyone to switch over to digital video projection... BUT, this excellent magazine broke all records by having a review of the BFCC/Sprocket Hole release "Men Behind the Movies part 1" in issue 41. Good on you chaps!!! You'll be pleased to know that "Men Behind the Movies part 2" is in production now. Are you in it? 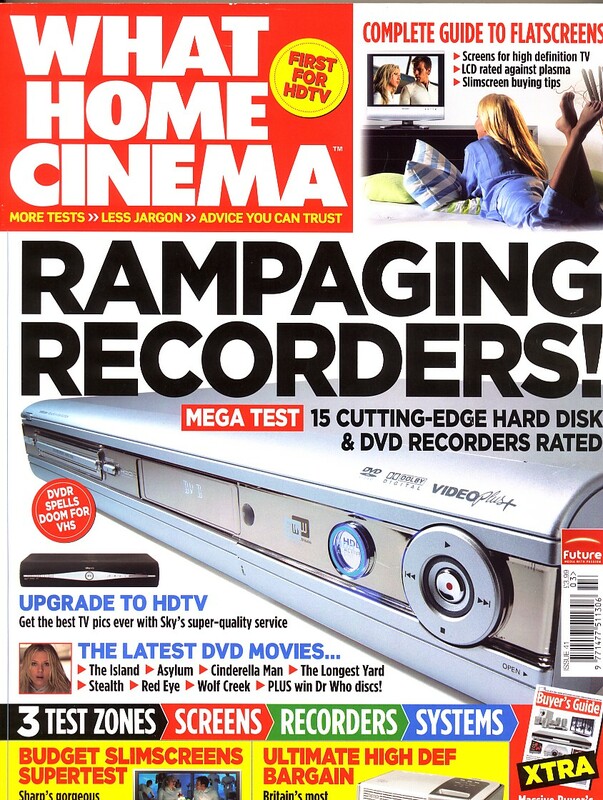 Please note the reprint below and image above is copyright of "What Home Cinema".